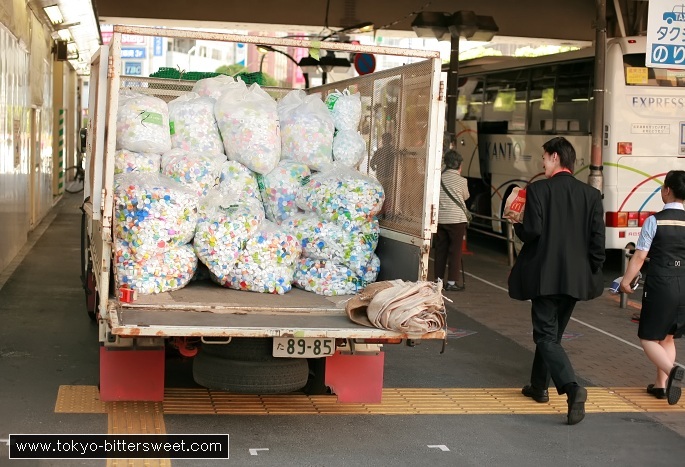 This garbage collection truck caught my eye as it was loaded only with plastic caps. Just colorful plastic covers from plastic jars and nothing else! It looked quite beautiful, like confetti.